Having a history degree, it’s always been a dream of mine to experience life in a time before modern conveniences. This weekend, I got to live the dream – sort of. 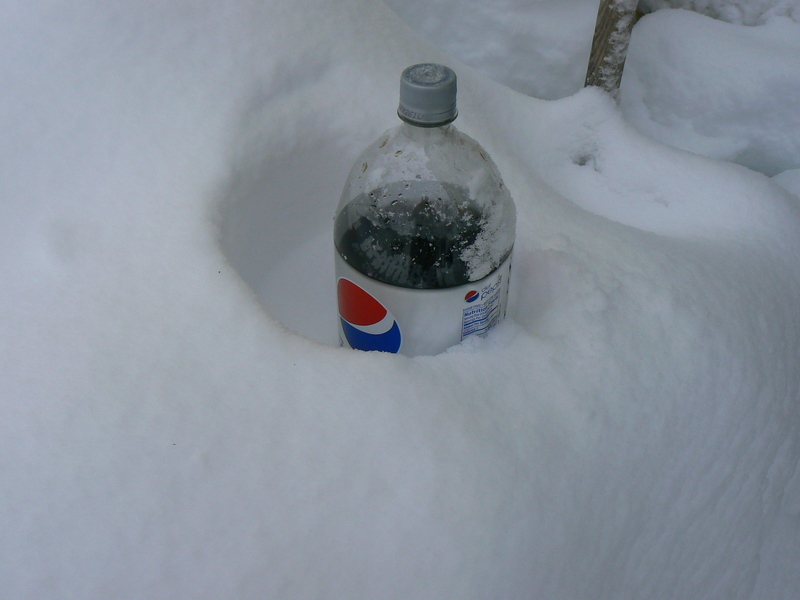 We all knew that a snowstorm of historic proportions was headed our way, and this one didn’t disappoint. 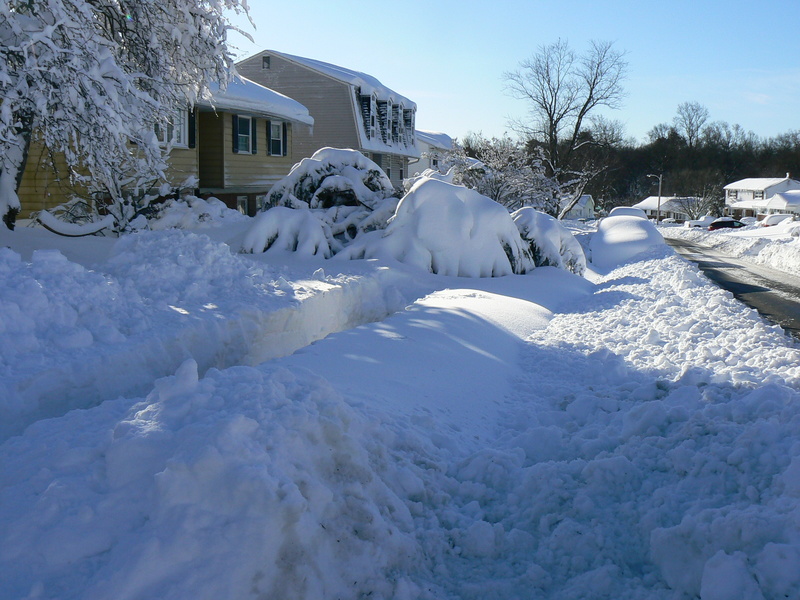 On Friday, as the storm loomed, the only real worry I had was getting home before driving conditions became dangerous. 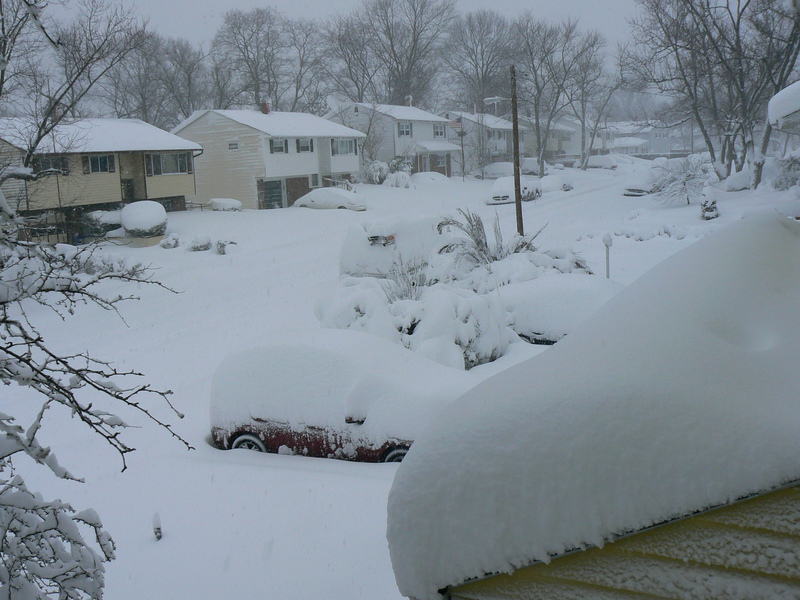 Thankfully, UMBC closed at 1PM, and I and my family were safely ensconced in our home by mid-afternoon. All that was left to do was watch and wait to see how big this snow would really be. We weren’t concerned about boredom, because there were plenty of things at home to occupy each of us. My wife, the office manager at a large podiatry practice, brought home loads of billing that could be done online; my children had their video games, social networking sites and television to see them through. Me? I was prepared to help monitor the UMBC Help Desk online, and I had brought home textbooks to read for my two graduate courses. 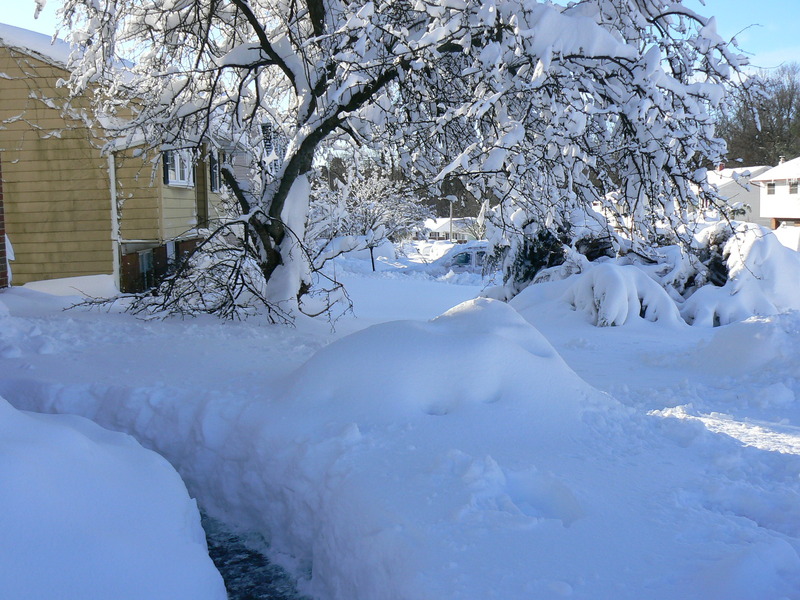 And, of course, there would be shoveling to fill the hours. 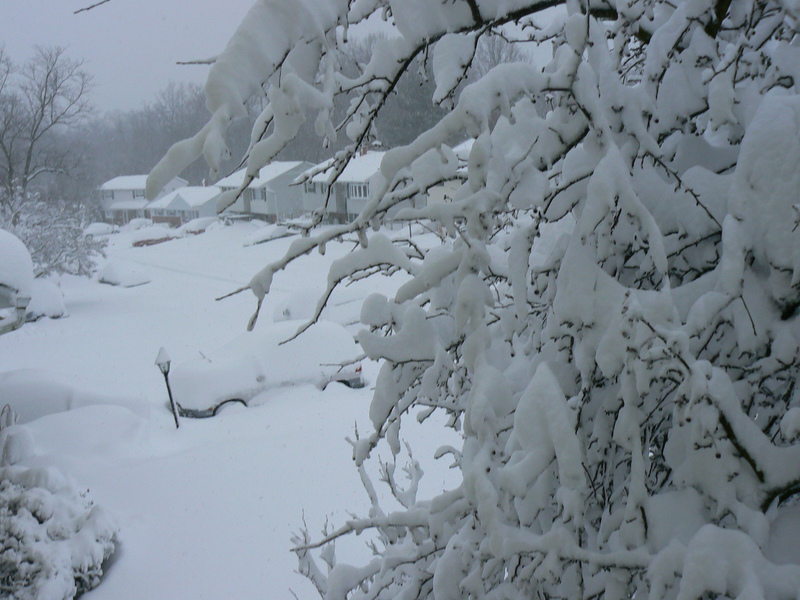 When we went to bed Friday night, the heavy snow had begun in earnest and was beginning to accumulate. But we were prepared, so there were no worries. At 3:30AM, however, our weekend changed. That was when a tree at the top of our street toppled onto a power line, plunging our neighborhood into darkness. My family and I slept through the moment, not knowing what was ahead. At around 6:30AM, my wife stirred long enough to see what time it was, but our electronic clock was dark. Soon, I knew it, too. The power was out. Our neighborhood almost never loses power, and when it does, it’s usually not for long. 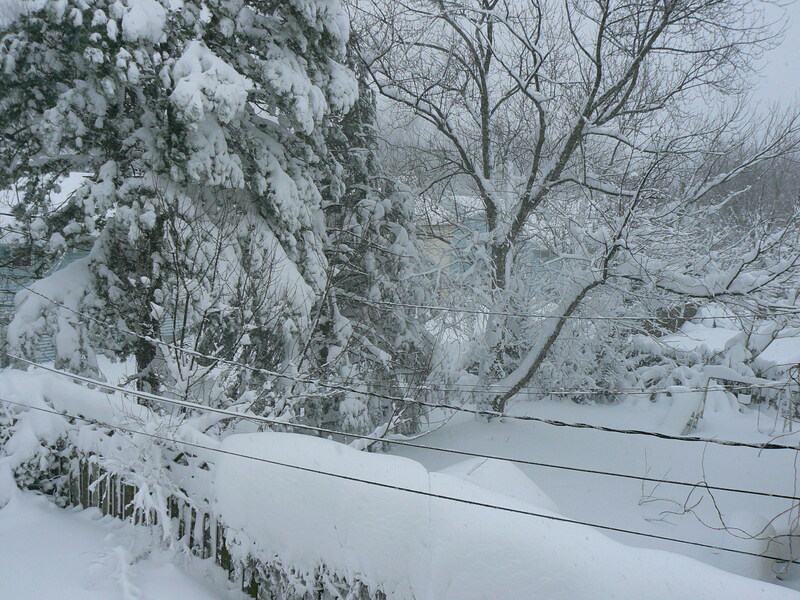 But when I looked outside from our bedroom window on Saturday morning, I quickly realized that this time might be different. 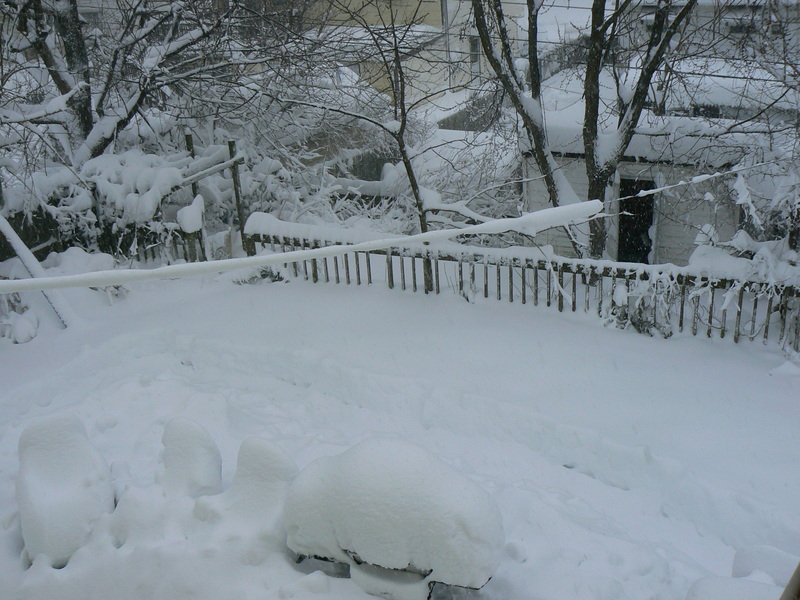 Calling BGE confirmed my suspicions – they had no ETA for our power outage. 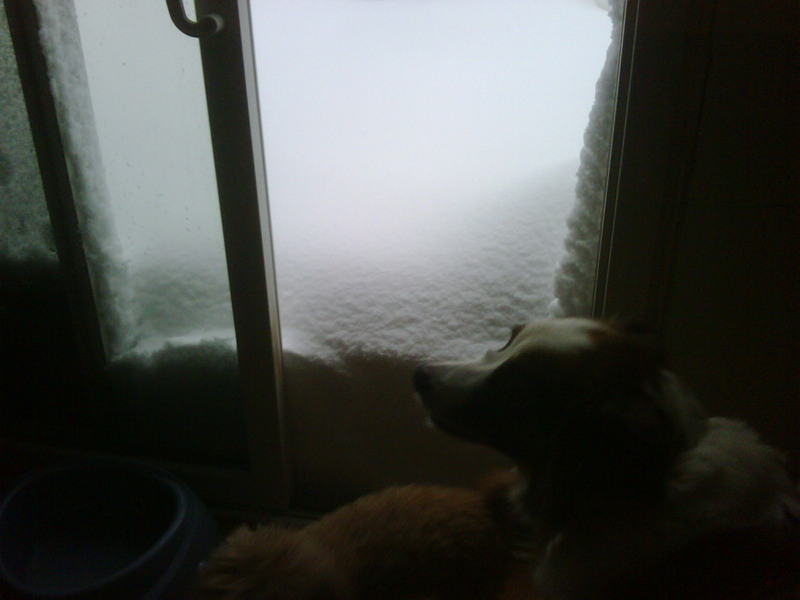 The snow was already piled up higher than our dogs; I would have to dig out a path for them before I did anything else. This I proceeded to do, while my wife started a fire in our living room fireplace (the temperature in the house had already dropped noticeably). Until Saturday morning, our fireplace existed to provide ambiance or perhaps a romantic evening when the kids were away; for the next 36 hours, it would be the key to our world. As we gathered around the only heat source in the house, my wife grumbled about not having a cup of coffee. At that moment, I had a history-inspired moment of inspiration. Not to worry, I told her; we’ll boil water in the fireplace and then use the Folger’s Singles (this is basically coffee in a tea bag). 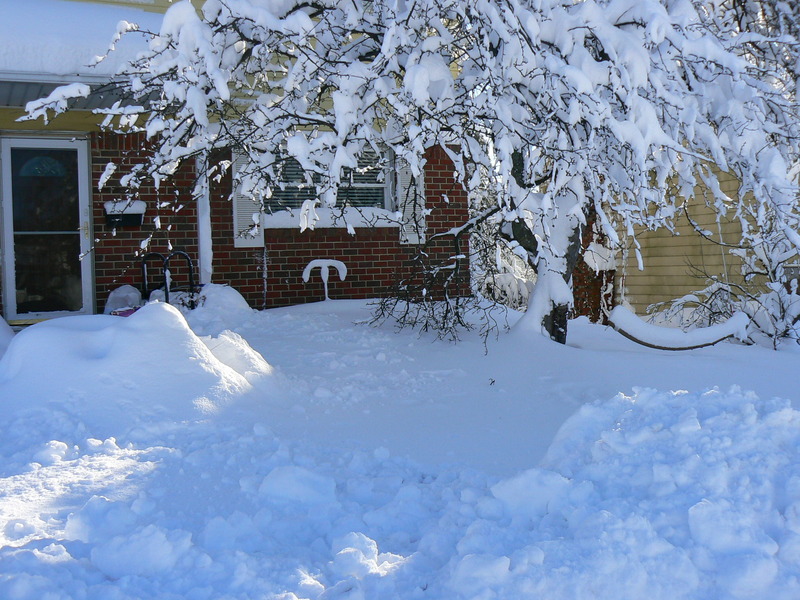 In order to build the rig that would turn our fireplace into a ready-made hearth, I had to retrieve a number of discarded bricks and pieces of bricks from just outside our front door, now covered in over a foot of snow. This took about twenty minutes of stretching over a pile of firewood and digging through snow, but soon we were proudly cooking, just like living historians at Williamsburg. As you’ll notice in this picture of the first attempt, the pot is uncovered. 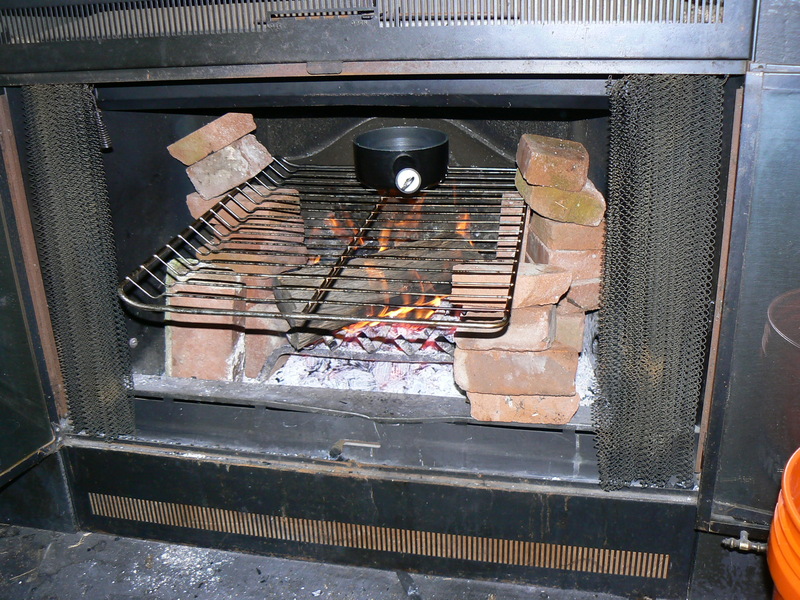 Tip – uncovered pots in a fireplace attract ashes. Future attempts featured covered pots. Still, it worked. I enjoyed a lunch of Campbell’s Chunky Soup (New England Clam Chowder, seasoned with Old Bay); my son and daughter also had soup, which seemed like the easiest thing to make in the limited space of the Harrison Hearth. My wife focused on lots of hot coffee. 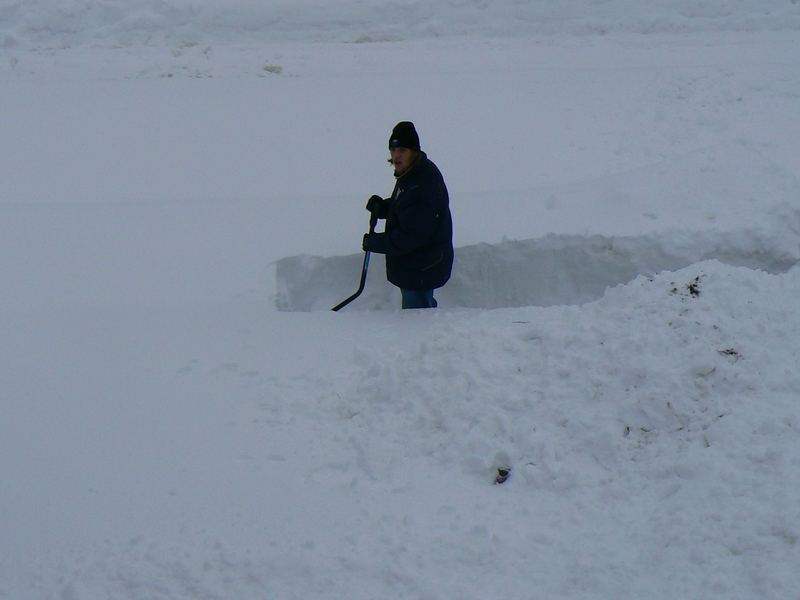 As the snow began to wind down toward late afternoon, we decided to start the digging out process. 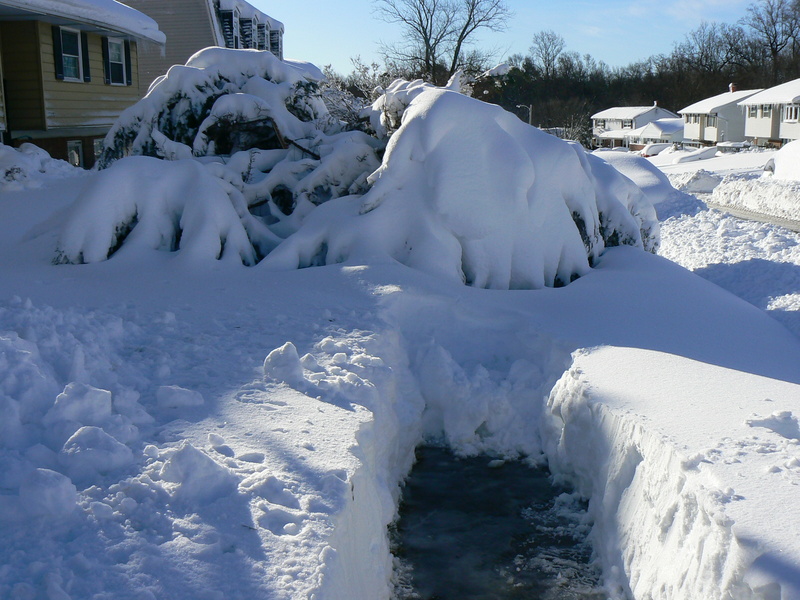 I dug a path from the front door to the street, and my son Zack got to work on the sidewalk. 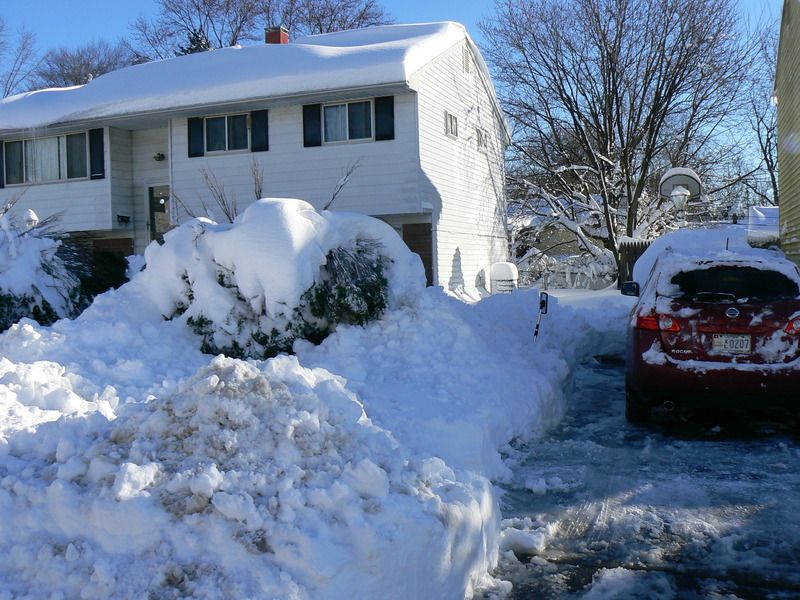 After that, we focused on clearing off my car and opening the driveway to the street. We continued shoveling until it was too dark to see (no street lights) and then came into our cold, cold house, now illuminated with a couple of oil lamps. Our lives now revolved completely around the fireplace, and we only left its warmth to recover some needed item and then quickly return to its side. We started to worry about my wife’s 120-gallon saltwater fish tank, which was happily located in the living room, directly across from the fireplace. If the oxygen became depleted in the tank, or if the water temperature dropped too low, her beloved tropical fish, some a number of years old, would die as we watched helplessly. I decided to keep the fire hot and hope for the best. 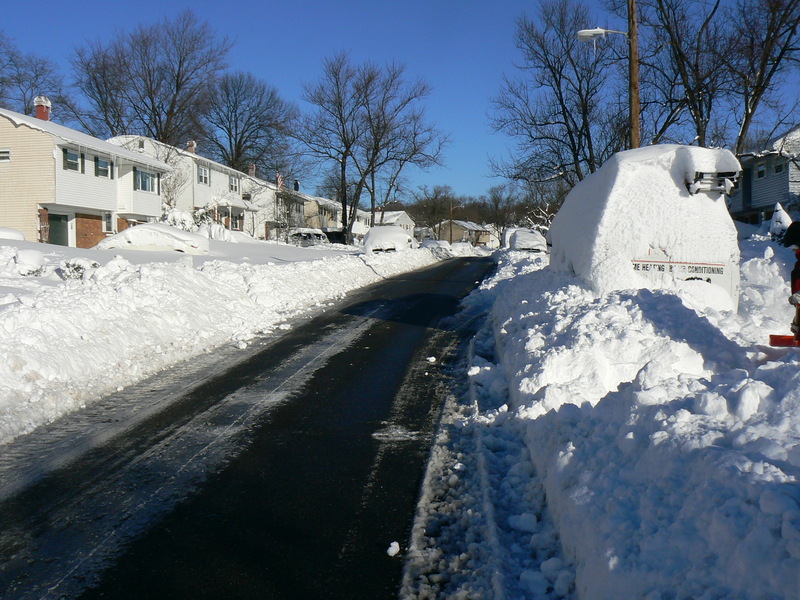 Outside, our street had been repeatedly plowed, and was clean to the pavement. 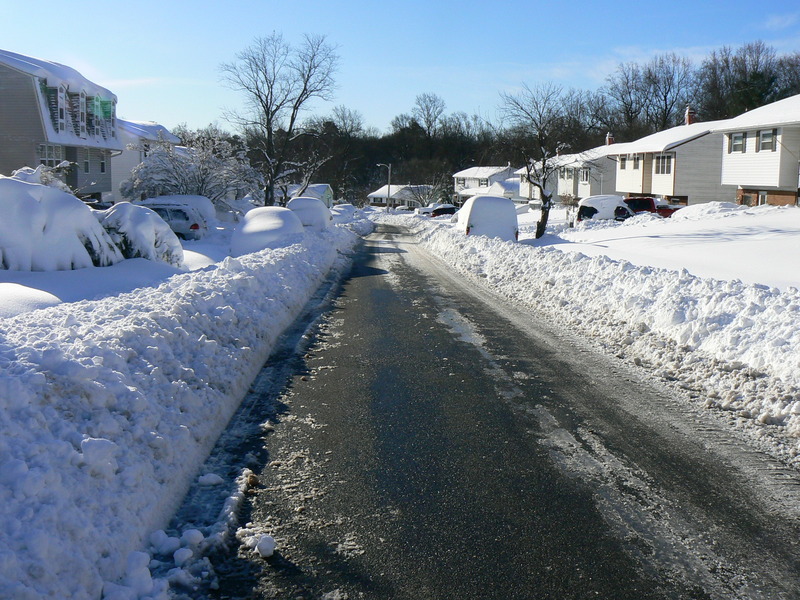 Beyond my neighborhood, we had only anecdotal reports about road conditions. As the cold, dark evening wore on, boredom set in, and my preteen daughter, Sarah, began to crack. Before long, she was alternately complaining, arguing with her older brother or begging us to play board games; all we wanted to do was to sit by the fire. Around 9PM, my mother-in-law offered a oasis, however distant. She told us that if we could get her there, she could spend the night with her grandparents. We knew that it probably wasn’t safe to drive yet, but the other option, spending the night with our increasingly frantic twelve-year old, seemed more likely to result in lasting injury. I told Sarah to pack an overnight bag. Driving slowly, in a circuitous route that took advantage of major roads, we made the two-mile trip to Mom Mom’s in about twenty minutes. On the way home, I stopped at the Giant at Cromwell Field Shopping Center, incredibly open for business, for supplies. 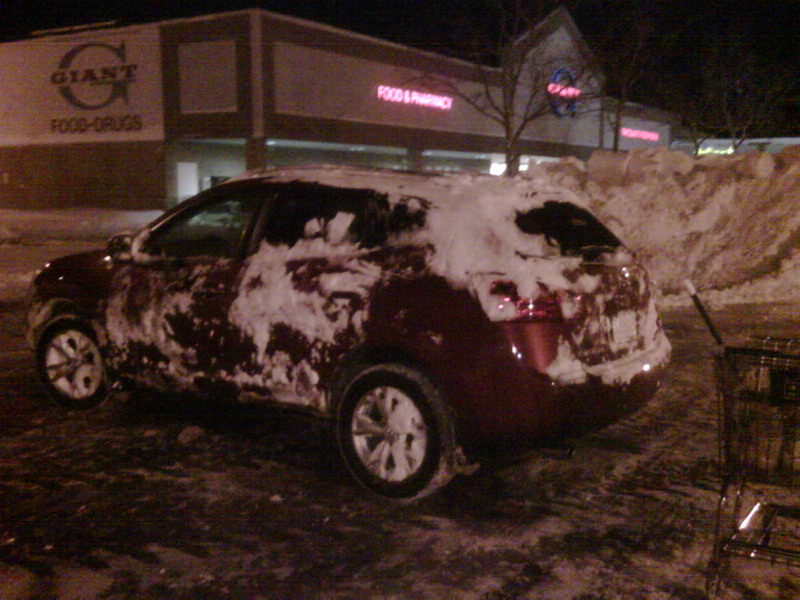 There were only a few other cars in the freshly plowed lot. There was one cashier on duty, and one front-end manager. In the aisles, I saw two other customers and plenty of junk food, which I greedily snapped up. As I made my way back home, I noticed a car on a trailer abandoned on the ramp to northbound Route 97. Keeping to main roads as long as possible, I made good progress and arrived without incident. The car’s digital thermometer read 21º. One of the things I bought at Giant was Jiffy Pop, which we made in the fire, and that was fun for about fifteen minutes. By ten o’clock, there was nothing to do but settle down in our beds for the night. This was when I realized that the fire, our sole source of heat, would soon die out if left untended. Not only would sleeping become a frosty nightmare, but the fish would certainly freeze to death. Someone had to keep the fire going, and I decided that it would be me. I spent the night dozing, feeling my face grow cold, waking up and then fixing the fire. This cycle was repeated in about 45 minute blocks throughout the night. Sometimes getting the fire going was easy, sometimes hard, but I never let it die. When morning finally came, I was relieved. It’s hard to sleep late when you’re miserable, so everyone was up and about by 7AM, except the fish, which, while alive, stayed out of sight at the bottom of the tank amidst the rocks. I touched the glass of the tank and wondered how much longer they had left. It was around this time that I looked over at Samson, our collie-shepherd mix, and noticed that I could see his breath. I started working on my wife’s car, which was in the driveway in front of mine. 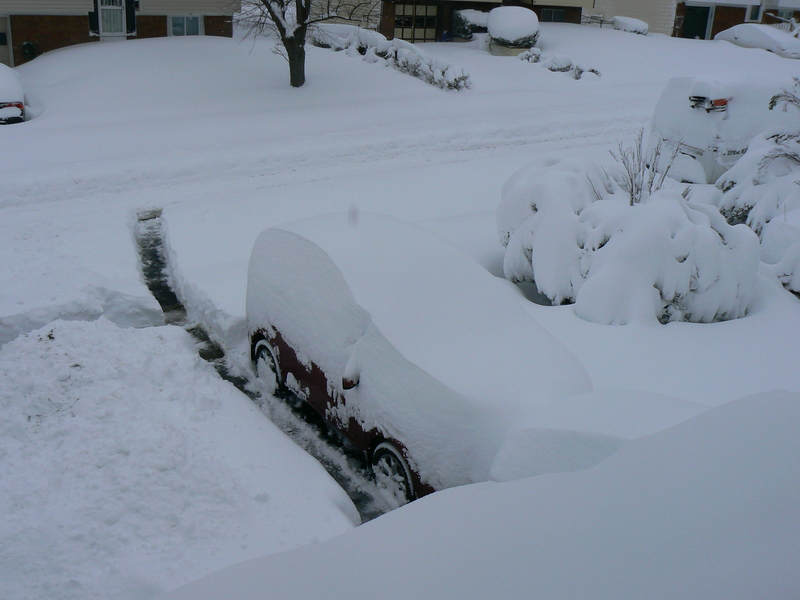 When that was done, my wife and dug out a space for another car on the curb in the street, so that when my oldest son, Ryan, returned later that night, there would be adequate parking. As we worked, the sun shone brightly and it actually felt a bit balmy (I guess after what we had tried to sleep through, 35º and sunny is a heat wave.) 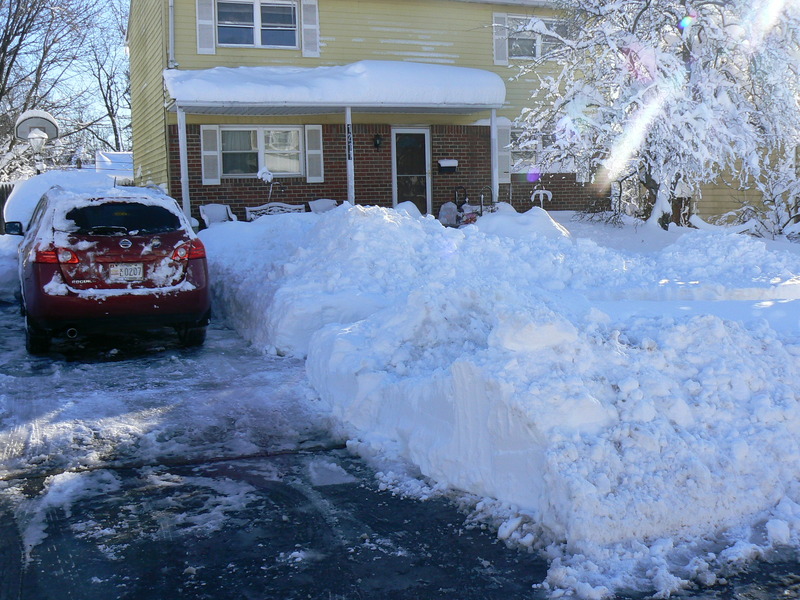 My wife and I shoveled in sweatshirts alone, and I found myself sweating; soon the spot was cleared and we were exhausted. 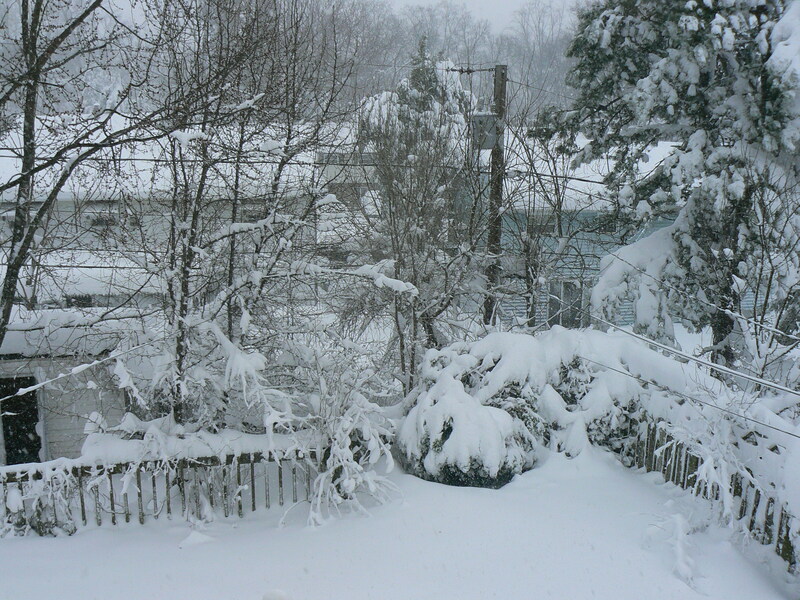 Calling for another update, BGE was now estimating that we would have power at 7PM – not good for the suffering fish. At around this time, my wife started to feel nauseous, and I spent about twenty minutes groping around the medicine cabinet by oil lamp, until I found some Tums. 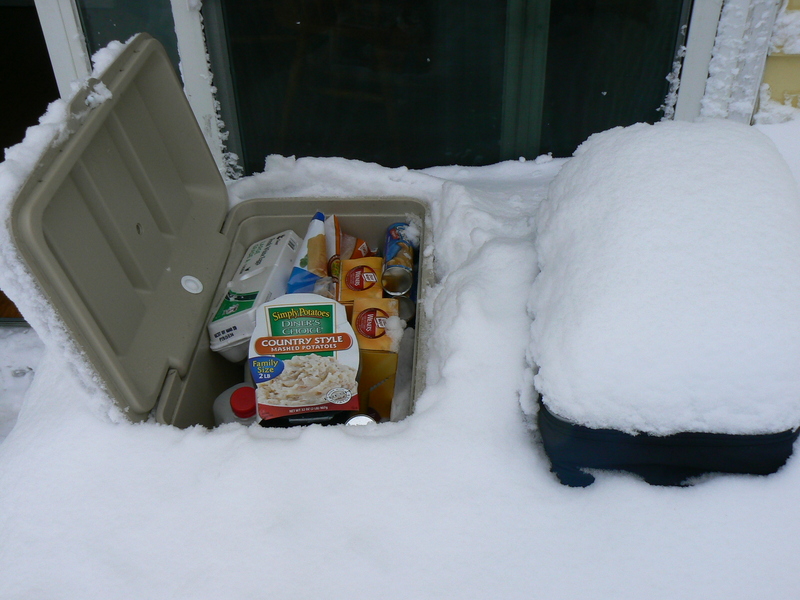 Freezing to death, it occurred to me, is probably not a healthy living choice. Once the Super Bowl was underway, I followed the game on my Droid, via ESPN. The Colts jumped out to a 10-0 lead, and I was not surprised. I called BGE again, but they had no further updates for us; looking over at the black saltwater tank, I didn’t think the fish would last the night. I went back to my 3.7″ digital rendering of the Super Bowl. It was almost halftime, and the Saints were making a game of it. And then, without warning or fanfare, the 21st century returned. The lights in a few rooms were suddenly on, and most importantly, the fish tank roared to life. I quickly scanned the now illuminated water for floaters, and relieved to find none, turned my attention to the next order of business: getting the Super Bowl on TV before I missed The Who. All that’s left now is to go to the strip mall and find myself a “I Survived The Snowpocalypse” tee shirt to commemorate our weekend adventure. Awesome.